Jean Jorgensen, a descendant of James Mayfield (d. 1780), has graciously provided me with a copy of the surviving papers from a lawsuit brought in the Jefferson County KY, Court of Chancery by a certain Israel Mayfield. The Kentucky State Archives reference for this lawsuit is Jefferson County, Case Number 172, Year 1808. The lawsuit is of genealogical importance in that it provides primary evidence that Micajah Mayfield, Jr. and Southerland Mayfield of Jefferson County were the sons of Micajah Mayfield, Sr. (1748-1838). My analysis of this case is presented in the following paragraphs. On 18 October 1808, a Bill of Complaint was filed in the Chancery Court of Jefferson County, Kentucky by a certain Israel Mayfield. In the Complaint, Israel accused Micajah Mayfield, Sr. of Jefferson County and his two sons, Micajah, Jr. and Southerland Mayfield of having fraudulently sold a 100-acre tract of land in Williamson County, Tennessee to him for $800. The tract was purportedly a part of the 640-acre preemption grant posthumously awarded to Micajah's father, James Mayfield (d. 1780), by the North Carolina State Legislature in 1784. This same 640-acre tract was near the site upon which Southerland Mayfield built Mayfield's Station in the late 1780's. The purpose of this short article is to briefly examine the official land records and other pertinent events associated with the establishment and disposition of this 640 acre grant and access the validity of Israel Mayfield's Complaint. I have no hard evidence as to the identity of Israel Mayfield; however, my conjecture is that he was the same Israel Mayfield (ca. 1770-1812) who abandoned his wife and family in Knox County KY in about 1806. Court records from Williamson County TN indicate that Israel was dead by the year 1812. Family legend indicates that he was a gambler who kept a stable of race horses; he ultimately settled in Natchez-Under-the-Hill, the Red Light District adjoining the town of Natchez, Mississippi! Israel apparently never returned to his wife. ... My great-grandfather, Israel Mayfield and his brother Jacob came from Virginia or Tennessee, I have forgotten which state , and settled in Whitley County, Kentucky. They had other brothers who came to Kentucky but I do not know their names. My great-grandfather, Israel, lived at Joefields, now Wooodbine, near Corbin, Kentucky. He at one time owned most of the land in that district. He constructed and managed a race track there; He kept race horses and men came from Virginia, Tennessee and the old settlements [of] the Blue Grass Region, to run their horses on this track. Later, great-grandfather Israel built a flatboat on the Cumberland River, put his race horses and other effects on it and moved downstream to Natchez, Mississippi. At his death, he owned either Natchez-on- the Hill or Natchez-under-the Hill, I have forgotten which. He was wealthy when he died [in] about 1835. His estate was never settled or adjusted because he was separated from his wife who remained in Kentucky. She was exceedingly unreasonable about the matter and would never go nor authorize anyone else to go and see about the settlement of the estate. She lived to the age of 115 years. Members of our branch of the family have always believed that there is considerable property in Natchez, Mississippi that rightly belongs to us. It has been said that great-grandfather moved to Mississippi because he had relatives at or near Natchez. I have forgotten my great-grandmother's name, also when and where she was married. 1) Israel married his wife, Martha (Patsy) Ann Prewitt, in Jefferson County TN on 02 November 1795. Martha was the daughter of David Prewitt and his wife Elizabeth Parrott. 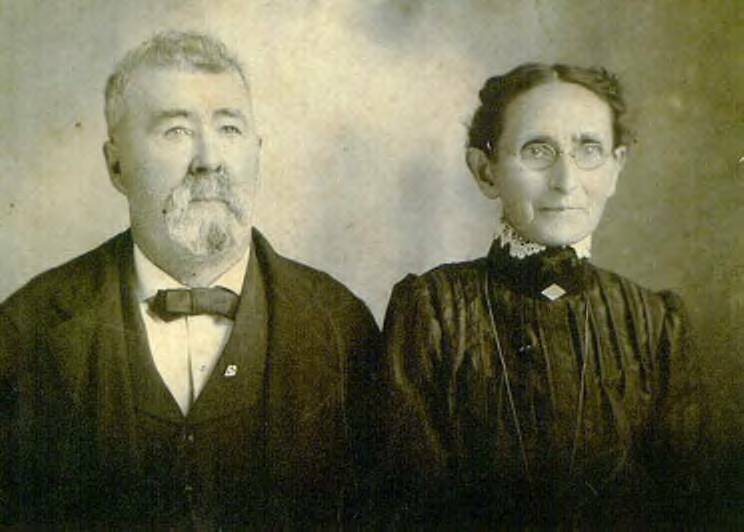 2) The couple lived in Green County TN for several years, where Israel was a constable. 4) In 1804, Israel is appointed as the Knox County jailor. That same year. he is granted permission to keep a tavern in the town of Barbourville. 5) In 1805, Israel is granted permission to " ... keep an orderly house of entertainment. ... "
6) In 1804-1805, Israel is involved in four lawsuits - three as a plaintiff and one as a defendant. 7) In May 1806, a certain Arthur Neel is appointed as Knox County jailor. It would appear that Israel Mayfield had left Knox County by this time. The last mention of Israel in the official records of Knox County is in July 1805, when he mentioned as the plaintiff in a lawsuit. It is reasonable to conclude that Israel removed from Knox County some time in the early part of 1806. His name never again appears in the official records of either Knox or Whitley Counties. The records further indicate that Israel's wife and children remained in Kentucky. Myers complains that Israel Mayfield is indebted to him in the amount of 24 pounds, 13 shillings and asks for a further 10 pounds in damages. Summons issued to Mayfield on 01 July 1805. On 02 July 1805, Mayfield posts a bond of 49 pounds, 6 shillings, the same to become void if Mayfield appears in Circuit Court to answer Myers's charges at the next day of Court, i. e., 03 July 1805. "Jacob Myers vs Israel Mayfields heirs: Debt $107, Dam. $50. Justices Samuel Akin, Collin McDaniel, John J. Henry. Jury: Wm Dowdy, Thos Walker, ... David Craig say plaintiff sustained damages by reason of detention of debt to $13.49. That 24 pounds, 13 shillings Kentucky money is equal to $82.16. Therefore plaintiff recovers agt defendants debt of 24 pounds, 13 shillings KY money equal in cash to $82.16 and interest on the debt from 01 March 1805. ... "
It is apparent, given the fact that the exact amount of money involved (24 pounds, 13 shillings) is the same in both cases, that the same people, i.e., Jacob Myers and Israel Mayfield, are involved and that Israel Mayfield was dead at the time of the above cited jury trial (October 1812). The official records of Kentucky strongly indicate that Israel's eldest son was named Jacob (1796-1871). In 1808 Jacob would have been a minor and only about 12 years old. The 1808 deed made out to Jacob by Micajah Mayfield, states that he was then a resident of Dickson County TN. If true, this would indicate that Jacob may have left KY with his father. Further research in Dickson County will have to be made to see if there is any further evidence of Israel or Jacob Mayfield in that county. The first mention of this Jacob Mayfield in any official record, that I can find, is in the Knox County poll tax for 1817, indicating that, at some point prior to 1817, he must have returned to live with his mother. Jacob ultimately removed to Wayne County KY where he died in about the year 1871. Jacob's mother, Martha (also known as Patsey), resided with Jacob in her old age. The last reference to Martha in any official record, that I have been able to find, is in the 1870 Federal Census for Wayne County KY, which indicates that Martha A. Moss was blind and living in the household of her son, Jacob Mayfield; her age, as of the date of that Census (16 Sep 1870), was 95 years! This fact also indicates that she must have been born in about the year 1775. Jacob Mayfield, in his will, names her as Martha A. Moss (could this really be DeMoss?? ), thus indicating that she had remarried. Also, the 1870 Federal Census substantiates this fact. I have not yet found any record of this marriage, but I continue to search. Her remarriage to a member of the Moss family must have occurred after the 1830 Federal Census for Whitley County KY, as she is listed as "Marthew Mayfield" in that document. Jacob Nelson Mayfield, writing in 1933, states that Martha (Patsy) Prewitt Mayfield lived for 115 years; however, I have found no hard evidence to substantiate this. If true, she would have died in about 1890! I could find no reference to anyone named Martha A. Moss in the 1880 Federal Census for Wayne County KY; I consider it probable that she died sometime before 1880. Another source, genealogist Sally Silvers Batts, indicates that Martha lived to be about 100 years old; if true, this would place her death in about the year 1875. The 1860 and 1870 Federal Census Reports for Wayne County KY both indicate that Jacob was born in South Carolina. If true, then Jacob's parents, Israel and Patsy Mayfield, must have briefly resided in that state, sometime during the late 1795 to early 1799 time frame. 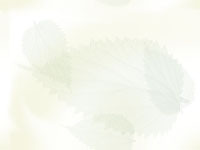 However, Jacob must have died a few years earlier than the year 1875 - the year that his will was entered into probate. In a deed dated 30 August 1871, William Mayfield of Wayne County KY, son of Jacob, sells his interest in the estate of "Jacob Mayfield, deceased" to a certain James Thompson. [See Wayne County KY, Deed Book R, page 499.] Also, the last year that the Wayne County KY tax lists show Jacob as a taxpayer is for 1871. In 1872, the only Mayfield listed for Wayne County is Jacob's son William Mayfield. Jacob's year of birth is estimated to be 1796 based on the information contained the 1860 and 1870 Federal Census Reports for Wayne County KY.; in those reports, Jacob's age is stated to be 64 years and 74 years respectively. I do not like to believe that Micajah Mayfield, Sr. was explicitly involved in a land fraud, even though this is certainly a possibility. However, I'm not so sure about the ethics of his two sons, Southerland and Micajah, Jr.
1) The first appearance of this Micajah Mayfield in the official records is in the tax lists of Jefferson County KY for the year 1807. He continues in the tax lists through the year 1822 (the year of his death). From the year 1818 forward he is listed under the nickname of "Catesby" Mayfield. 2) The name Catesby was apparently adopted from the name of the father of his first wife Leathy Young, i. e., Catesby Young. For further details see notes 6) and 7) below. 3) Micajah (Catesby) Mayfield's first appearance in the 1807 Jefferson County Tax List was for the poll tax, thus indicating that he had reached the age of 21 years. Accordingly, his year of birth must have been about 1786. Comment: Catesby Mayfield's second wife was Sarah Pickett, the widow of John Pickett. Catesby Mayfield had been appointed as the guardian of Sarah's two minor children by her marriage with Pickett, i. e., John Thomas Pickett and Julian Pickett. “To the Honorable the Judges of the Jefferson County Circuit Court in Chancery Sitting, humbly and complacently sheweth unto your Honors, Your Orator Israel Mayfield: That some time in the month of July 1808, Your Orator had some conversation with Southerland Mayfield and his brother Micajah Mayfield, whom Your orator prays may be made Deponents hereto, respecting the purchase of part of a tract of land lying in the State of Tennessee on the waters of Mill Creek, which they represented to your Orator as the property of Micajah Mayfield their father, who is likewise made a Deponent hereto. “Your Orator further shews that at the time the above representation was made, they exhibited to Your Orator a bond which they said was made by their father Micajah Mayfield binding himself to make to the said Southerland & Micajah Junior, a Deed of Conveyance for 100 acres of land lying in the State of Tennessee in the County of Williamson and on the waters of Mill Creek. Your Orator would further shew that having a son, Jacob Mayfield, living in Tennessee, he wished to purchase the said 100 acres of land for him, and accordingly bargained with the said Southerland & Micajah, Junr. for the said 100 acres of land situated as aforesaid and on the same day that the bargain was made, Your Orator paid to the said Southerland & Micajah Junr. $400 in good cash bonds assigned by Your Orator and four geldings valued at $400 amounting in all to $800. That a few days after this, Your Orator applied to the two brothers for a deed of conveyance for the above land, and Southerland persuaded (?) his father Micajah to sign and acknowledge the deed herewith filed and referred to as a part of this Bill, purporting to be a conveyance to Your Orator’s son Jacob by the said Micajah, Sr. of 100 acres of land lying and being in the County of Williamson and State of Tennessee on the head waters of Mill Creek, patented in the name of James Mayfield. “That the Said Sneed shewed to Your Orator a Deed of Conveyance made to him the said Sneed by George Mayfield. John Mayfield, James Mayfield, John Champ and Robert Sconce, who had the 2nd day of June 1806, received a deed of conveyance from the said Micajah Mayfield Sr. for a certain tract or parcel of land lying and being in the County of Williamson in the State of Tennessee on the waters of Mill Creek containing 380 acres, being the balance of a survey of 640 acres more or less made and patented in the name of James Mayfield. A copy of which deed is herewith filed and referenced to as part of this Bill. Your Orator would state that neither the said James Mayfield nor Micajah Mayfield, Sr. never was entitled to or owned any other or more land in the State of Tennessee beside the said 640 acres above mentioned. And that prior to the 11th of July 1806, the said Micajah Mayfield, Sr. had sold all his right and title in and to the said 640 acres. Your Orator would further shew that previous to the sale of the said 100 acres … he has understood and believes that the said Southerland and Micajah Junr. had purchased the said land of their father and that the said Southerland had visited the State of Tennessee for the purposes of appertaining the situation of the said land. When discovering the facts of the above mentioned previous sale by his father of the entire tract, he returned to this State where the defendants all reside and threatened to sue his father for the purchase money. Your Orator wanted to … all which acting and doings of the said defendants are contrary to Equity and good conscience and … to the manifest injury of Your Orator. Unfortunately, the outcome of the above cited lawsuit is unknown. The Answer, if any, made by the defendants is not among the surviving papers. The only other documents in the lawsuit packet are orders to the Sheriffs of both Jefferson and Shelby Counties to apprehend the defendants and require their appearance in court. The reply of the Sheriffs was that the defendants could not be found in their bailiwicks. Indeed it is quite possible that the defendants were never located by the authorities nor made to appear in court! A careful analysis of all the pertinent events affecting the 640-acre preemption grant made to James Mayfield (d. 1780) suggests how the 100-acre discrepancy, cited by Israel Mayfield above, may have come about. I have prepared a chronology of the events that I consider significant to this matter. 13 July 1780: James Mayfield and four of his sons (Isaac, Elijah, Elisha and James) are discharged from George Rogers Clark’s Illinois Regiment, at the Falls of the Ohio (Louisville), Kentucky. 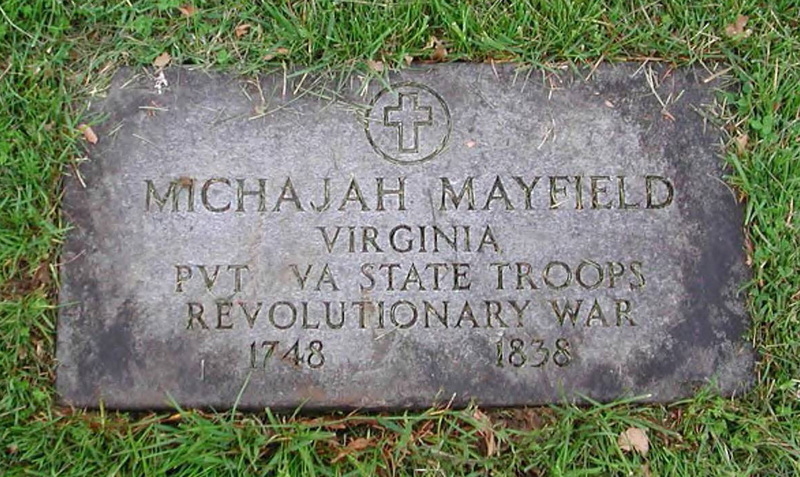 Another son of James, Micajah Mayfield, remains with the Illinois Regiment until 31 March 1783. Late July or Early August 1780: James Mayfield, his wife Ellender, and his son Isaac, migrate to the Cumberland Settlements. James Mayfield and his wife settle near Eaton’s Station.
" ... Soon afterward a party of Indians, supposed to be Delawares, killed Jonathan Jennings at the point of the first island above Nashville, in July or August. At Eaton's Station they killed James Mayfield, and at the same place, which is on the north side of the Cumberland River, a man by the name of Porter was shot by the Indians in the cedars, in view of the station, ... "
1783: Davidson County is formed out of Washington County, North Carolina. April 1784: The Law of Primogeniture is abolished in North Carolina. Under the new law, in the case of intestate death, the deceased’s real property is to be equally divided among all of the deceased’s surviving male heirs (sons). 08 September 1784: Micajah Mayfield of Jefferson County VA grants power of attorney to his brother, Isaac Mayfield, of Davidson County NC with respect to Micajah’s interest in the 640-acre tract of land granted posthumously to their father, James Mayfield. Isaac is to keep one hundred (100) acres for himself and to equitably divide the remainder of Micajah’s share between their younger brothers, Elijah and Elisha. 03 March 1785: A 640-acre tract is surveyed for James Mayfield by John Buchanan D. S. in consequence of Warrant Number 245. Land is located on the head of the west fork of Mill Creek in Davidson County. December 1789: The land that today forms the State of Tennessee is ceded (for the second time) to the United States by North Carolina. May 1790: The United States Congress designates the area received from North Carolina as the “Territory of the United States South of the River Ohio.” Wealthy North Carolina planter and land speculator, William Blount, is appointed territorial governor. This area remains a territory until 1796 when the region enters the Union as the State of Tennessee. Comment: Since Sutherland Mayfield had already commenced construction of Mayfield’s Station on this same land, prior to his death on 10 March 1789, he undoubtedly had already reached an understanding with his brother, Isaac Mayfield, to acquire said land. Accordingly, Isaac sold the land to Sutherland’s legal heirs (his surviving sons) per the deed cited above. After this sale, only 160 acres remained of the original 640-acre preemption grant of James Mayfield. 1795: The law pertaining to intestate death is revised in North Carolina. Under the revised law, in the case of intestate death, the deceased’s real property is to be equally divided among all of the deceased’s surviving children (both sons and daughters). 01 June 1796: The “Territory of the United States South of the River Ohio” enters the Union as the State of Tennessee. Comment: This 160-acre tract is the last remaining portion of the 640-acre preemption grant given to James Mayfield (480 + 160 = 640). 26 October 1799: Williamson County is formed out of Davidson County TN. The 640-acre tract of land posthumously granted to James Mayfield falls within the boundaries of this new county. 1803: Dickson County TN is formed out of Montgomery and Robertson Counties. Comment: It is unclear to me why this deed was created. This 380-acre tract is very clearly a part of the 480-acre tract that Isaac Mayfield conveyed to George, John and James Mayfield (surviving sons of Sutherland Mayfield) on 26 May 1790. Apparently the legality of the Isaac Mayfield transaction was considered questionable and Micajah Mayfield was requested to issue the instant deed to eliminate any possible legal challenge. Also, since the law of intestate estates had been changed in 1795 to include the daughters of the deceased, the daughters of Sutherland Mayfield (Polly and Jenny) are also cited in the Micajah Mayfield deed via their husbands, John Champ and Robert Sconce, respectively. Since this deed is for 380 acres not 480, Micajah Mayfield (who was illiterate) may have formed the impression that he still owned the other 100 acres that his deceased brother, Isaac Mayfield, had tried to convey in 1790. However, when Micajah had provided a power of attorney to his brother, Isaac Mayfield, back in 1784, he had stated that Isaac was to have 100 acres of the 640 acres. Accordingly, 100 acres of the 480-acre conveyance was apparently considered legally the property of Isaac and did not require another deed of conveyance from Micajah. The confusion over the status of this remaining 100 acres probably led to Micajah’s attempted sale of the 100 aces to Israel Mayfield in 1808 and the subsequent lawsuit (see below). 1807: James Mayfield, son of Sutherland Mayfield, dies intestate in Williamson County TN; his brother, John, is named as the administrator of his estate. 18 October 1808: Israel Mayfield files a Bill of Complaint in Jefferson County Chancery Court against Southerland Mayfield, Micajah Mayfield, Jr. and Micajah Mayfield, Sr. (for the transcript see above).